Get back in the game, and do it deliciously with Gatorade. 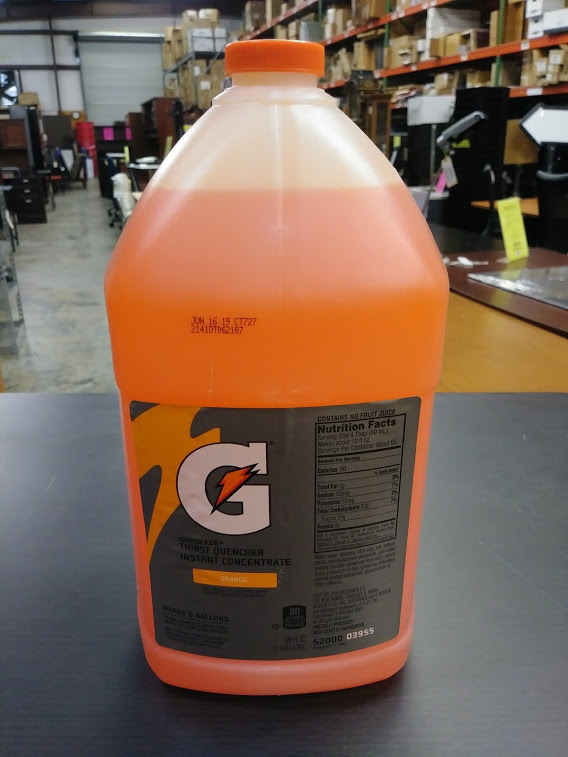 Simple, easy, refreshing and revitalizing Packed with carbohydrates and electrolytes Convenient concentrate allows you to make team-sized jugs or serving-sized cups Get back in the game, and do it deliciously with Gatorade. Simple and easy, just add water to make a refreshing, revitalizing sports drink. Packed with carbohydrates and electrolytes, it helps stimulate rapid fluid absorption, ensuring quick refueling and rehydration. Convenient concentrate allows you to make team-sized jugs or serving-sized cups. Mix 1 part concentrate to 5 parts water. Entire jug makes 6 gallons.